A modern day protection amulet. 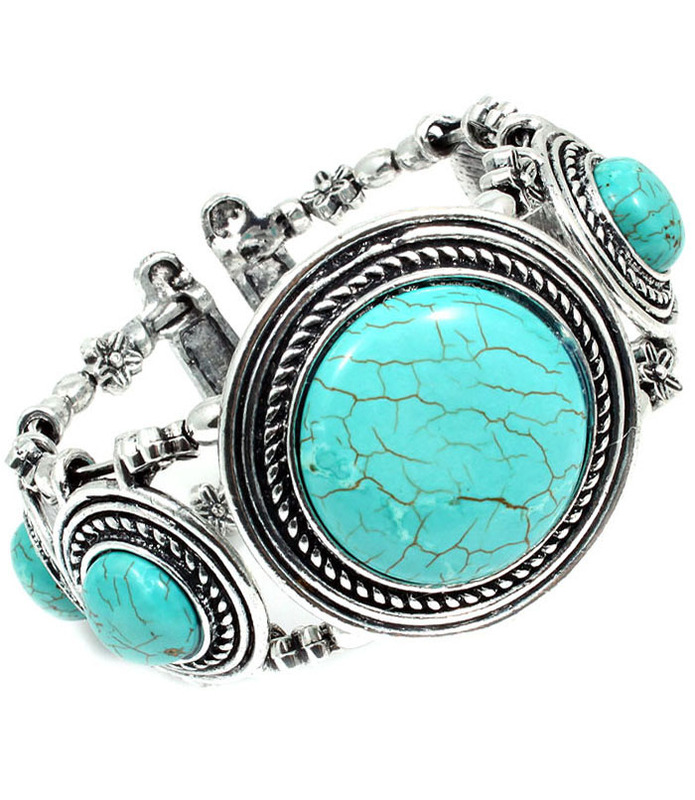 Flat-back discs of natural turquoise stone adorn the Naomi bracelet, featuring intricately etched Tibetan detailing in cast-silver. A brilliant way to begin your gemstone jewellery collection. Spice up your favourite outfit with this lovely piece of costume jewellery.